From Mo Abudu to Ema Edosio, these women are transforming Nollywood for the better. Women have had a place in Nollywood since its inception, but that was mostly in front of the camera. Behind the scenes, things have historically been governed by men: they produce and direct the biggest films and generally dictate the market for Nigerian film. In 2019, the era of overwhelming male dominance is over, thanks to a new type of female mogul personified best by Mo Abudu. Since the release of her first film Fifty in in 2015 she has ruled the Nigerian box office. Three films she executive produced—The Wedding Party 1, The Wedding Party: Destination Dubai and Chief Daddy—sit atop the list of highest grossing Nigerian movies of all time. The original Wedding Party grossed ₦453 million, its sequel did ₦500 million, and her latest Chief Daddy made over ₦300 million in three weeks. 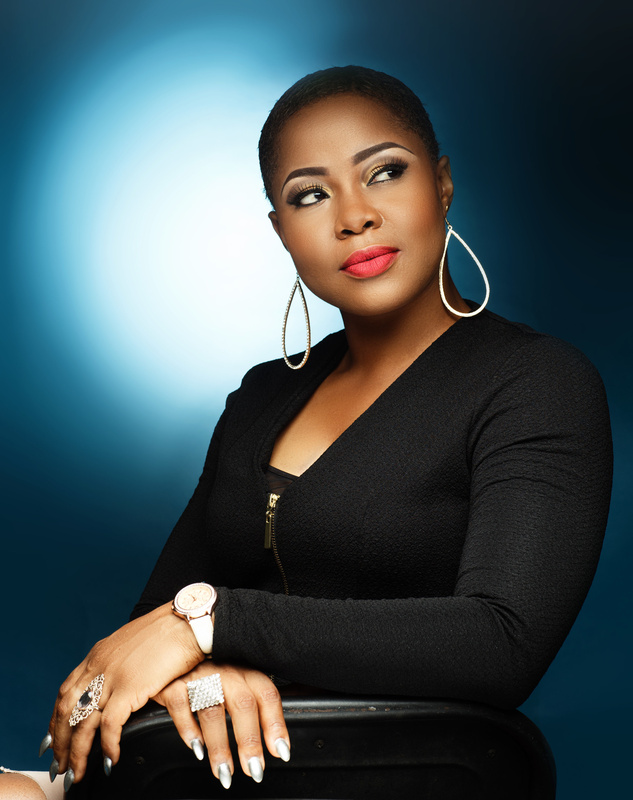 Four of the films produced by her film company EbonyLife are among the top 10 highest grossing Nollywood films. Mo Abudu's success has ushered in a new trend of women making boss moves in Africa's biggest film industry. Since her transition from her couch on Moments with Mo to film, the involvement of women in Nollywood behind the scenes have increased: Mary Remmy Njoku, a Nollywood actress popular for her role in Blackberry Babes, founded ROK Studios which produced the popular Husbands of Lagos and is responsible for the bulk of movies and series shown on iROKOtv. Six of the 10 most successful Nollywood films have been produced by women: Mo Abudu, Kemi Adetiba and Omoni Oboli. This is a testament to both women's power in Nollywood and Mo's influence. As reflected in Tope Oshin's documentary Shooting It Like A Woman, women are beating the odds to succeed in the male-dominated Nigerian film industry and in 2018, the women of Nollywood stepped up their game and made the biggest moves in the industry. Below are six Nigerian women who we're looking forward to seeing more of this year. Kemi Adetiba became popular for her aesthetically-pleasing and story-rich music videos; her refreshing style made her an instant hit among top musicians in the country. Before venturing into directing videos, the New York Film Academy alumni had worked in radio and TV as a presenter. Her first film The Wedding Party was an instant hit among moviegoers in the country. It was also the first Nigerian film to gross over a million dollars from ticket sales. Instantly, Kemi was a star. But while her first movie was a huge commercial success, it received mixed reviews and did not show much of her skills or ambitions as a film director. It was her sophomore feature King of Boys, which she wrote and co-produced, that won everyone over. It is a Nollywood modern-day cult classic. The film screamed audacity. It was three hours long; it was dark and at times bloody, and had no jokes: basically, not a typical commercial Nigerian film. But it became one of the most successful movies of 2018. For seven consecutive weeks, it was the number one film in Nigerian cinemas (the longest by a Nollywood film), beating stiff competition from several Hollywood and Nollywood films. It grossed ₦230 million, making it the fifth most successful Nollywood movie of all time and the third most successful from last year, behind EbonyLife's Holiday comedy Chief Daddy and Ay's star-studded Merrymen. Also, it had one of the longest runs in Nigerian cinemas by a Nollywood film–13 weeks. And due to huge demand, it was brought to UK audience where it spent two weeks. It is also coming to North America. Photo still from 'Lionheart' via TIFF. 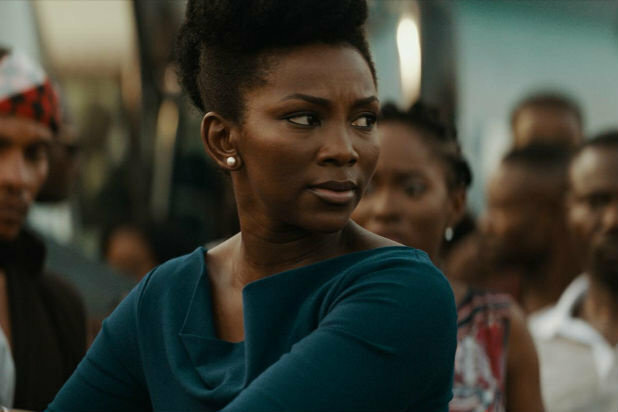 The biggest news out of Nollywood last year was Netflix's acquisition of Genevieve Nnaji's directorial debut Lionheart; she co-wrote, produced and stars in the film. This confirmed what we have known for years but yet to see it materialize: Nollywood is going global. Toronto International Film Festival (TIFF) is one of the film festivals filmmakers from around the world go to premiere their new films with hopes of landing distribution deals from one of the many film companies who court the festival and Nnaji and her team were no different. Hours before the screening of Lionheart, which was nominated for the prestigious Grolsch Peoples' Choice Award, Netflix announced it has bought global rights to the film, sending shockwaves loaded with excitement around Nollywood fans in the Nigeria and diaspora. This comedy, which is a love letter to Enugu, is not the first Nollywood film on Netflix—there are several—but it is the first Nigerian Netflix original; which means it will appear on the streaming giant homepage and get huge marketing unlike the other Nigerian films on the streaming service. The film generated global buzz unlike any other Nollywood product and has been featured in The New York Times, CNN, Variety and Essence magazine. And of course, the list of women pushing the boundaries in Nollywood would not be complete without the mention of media mogul Mo Abudu: the woman who has laid the template for making mega blockbusters in Nollywood. 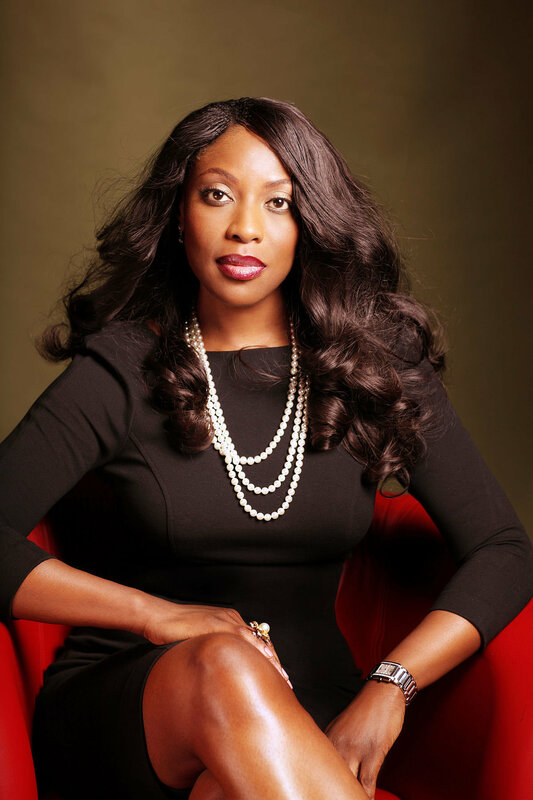 One of the first international recognitions Nollywood received in 2018 came in the form of a three-series deal between Sony Pictures Television and Mo Abudu's EbonyLife. One of the series is based on the Dahomey warriors of old Benin. However, in a year in which Nollywood got a few international recognition, it is only right the Queen herself got two. As the year came to a close, she was elected a director of the International Academy of Television Arts and Sciences; the organization responsible for the international Emmy Awards. "I am pleased about this appointment because it will be an enabler for the recognition of our work in TV and film across the globe." She said on her Instagram page while announcing the appointment. Still in 2018, Mo Abudu released her third ₦300 million grosser, the star-studded, family comedy Chief Daddy; which is also her third highest grossing movie of the year in three consecutive years, following The Wedding Party 1 & 2. Mo is both hardworking and a smart film executive, as echoed by now frequent collaborator Niyi Akinmolayan (director of Chief Daddy and Wedding Party 2): "Mo is the hardest working woman in film I have ever met." Photo via OkayAfrica's 100 Women. There are few women who work harder than Tope Oshin in Nollywood. Last year, she directed Up North—the biggest film in Nollywood in terms of sheer scale. "In a single day, for example, we had 15,000 extras." Producer Editi Effiong told me. "On our biggest day, our set had 20,000 extras." While Up North is her biggest movie from last year, it was not her only work. She directed two other features; New Money, a comedy-drama, and the award-winning We Don't Live Here Anymore, a young-adult drama that focuses on the struggles of being gay in Nigeria, and a TV series; the sixth season of MTV Shuga. Making her the most prolific director from the industry in 2018. The Colorado Film School graduate may be more popular in her role as a film director, but she has a stellar portfolio as a producer, casting director, writer, and actor. It is this incredible portfolio which features Nigerian first legal drama Castle & Castle, MTV Shuga and The Wedding Party 2 that got her to be included on OkayAfrica's 100 Women list in 2018 and becoming a juror for the International Emmy Awards. There are very few Nigerian actors that can boast of the accolades Omotola Jalade has received in her 20-year long career in Nollywood. Since her debut in 1995, the star actress has won numerous awards, has been named one of the 100 most influential people in the world by Time magazine, and honored as a member of the Order of the Federal Republic, MFR by the Nigerian government for her contribution in Nollywood. And while 2018 was a quiet year for her, she received one of her most important honors: an invitation to join the Oscar voting academy—the only actor from Africa—alongside notable filmmaker Femi Odugbemi. This is another nod to the global reception of Nollywood, which is crucial to the growth of the industry. Female directors in Nollywood always burst into the scene with a bang. Kemi Adetiba's debut, The Wedding Party, was a huge success; Genevieve Nnaji's directorial debut was acquired by Netflix; Jade Osiberu's debut, Isoken, was a rarity in Nollywood: a critically acclaimed and commercially successful film. Ema Edosio joins this tradition of an impressive feature debut with the low-budget Kasala!. While Kasala! was not as big as the films mentioned above, it was one of the most refreshing films of 2018 and shows that in Edosio, we have a unique talent that can tell compelling stories and get the best out of actors. The film, which won the Viewer's Choice at the 2018 edition of Africa International Film Festival (AFRIFF) was not accepted by Nigerian cinemas initially and it took touring several international festivals to convince distributors to give it a chance. One can only imagine what she will do with a bigger budget. While the rest of the world grapples with the inclusion crisis for women in film, these women of Nollywood are showing us how its done. It is even more exciting that in a time when the world is investing heavily in African stories; women are the leading the way, more so behind the scenes, in Africa's largest film industry. Daniel Okechukwu is a Nollywood blogger. He discusses the latest happenings in the Nigerian film industry on his platform, That Nollywood Blog. Keep up with him on Twitter here.